In a remarkable show of efficiency, the High Court of Delhi under the leadership of Acting Chief Justice Gita Mittal, on its first day of vacations, disposed of 19 cases and reserved 4 others, out of the 37 Appeals listed for the day. On Thursday, Justice Mukta Gupta disposed of all the 12 cases assigned to her, followed by Justice Sunil Gaur, who disposed of 6 out of the 11 cases before him. Justice I.S. 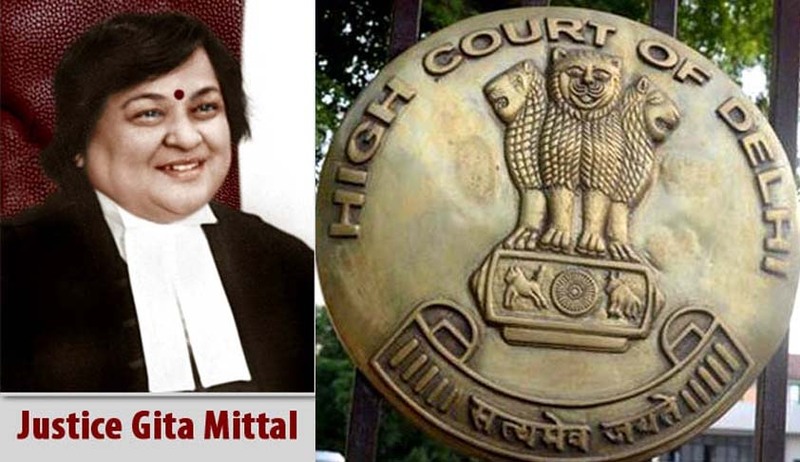 Mehta reserved a judgment, and Justice S.P. Garg disposed of 1 and reserved judgments in 3 other cases. The Court has scheduled a special sitting by four the Judges between 1 June and 16 June. These Benches will take up for disposal criminal appeals of convicts, who have been awarded a sentence up to 7 years, and who have already undergone more than 50% of the sentence awarded to them. The initiative is the brainchild of the Acting Chief Justice Gita Mittal, and is being coordinated by Mr. Lorren Bamniyal, Registrar (Appellate). The Court has also appointed retd. Additional District and Sessions Judge Mr. Amar Nath, and former officer of the Delhi Judicial Service Mr. Bharat Chugh as the amicus curiae in the matters. This has been done to ensure that the appellants are suitably represented and the appeals are not adjourned due to absence of the Counsels for the Appellants.